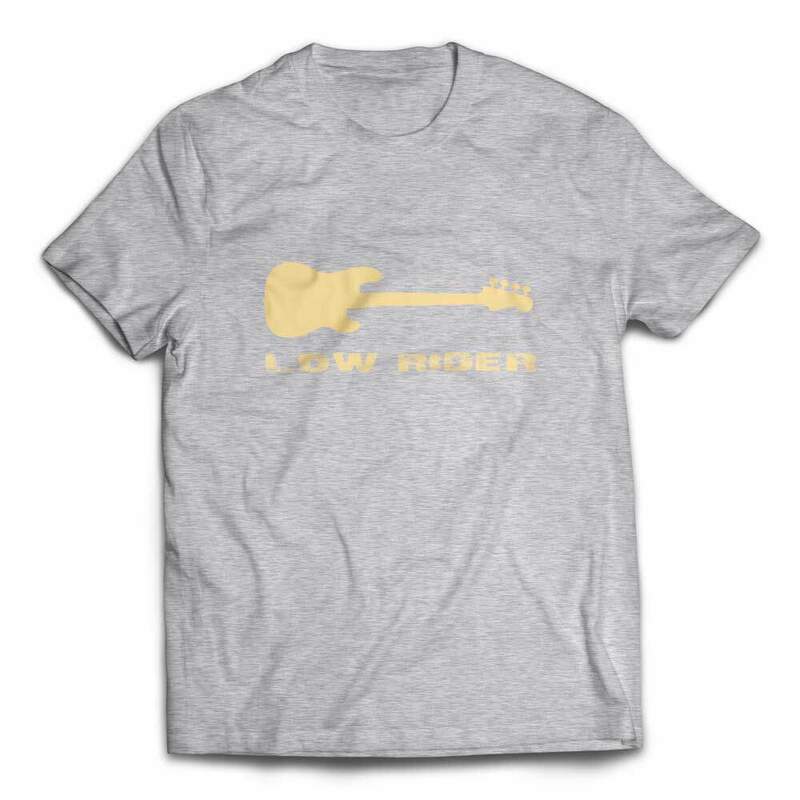 If you’re a fan of the low end that glues the WHOLE band together (you know what I’m talking about) you can show your appreciation with this awesomely understated Low Rider Bass T-Shirt. Enjoy this excellent quality t-shirt printed and shipped in North America. In Stock and Ready to Ship! Need more info? Our FAQ page can be found here. Ever felt this frustrated with your instrument? 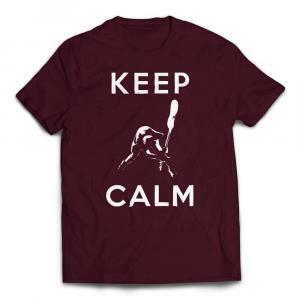 Instead of taking that rage out on your prized bass, wear this great Keep Calm t-shirt that shares the sentiment instead – it’s far cheaper. Don’t SMASH it, wear it! If you’re a Stevie Ray Vaughan fan, or love his prized Number One Stratocaster, you gotta have this shirt! 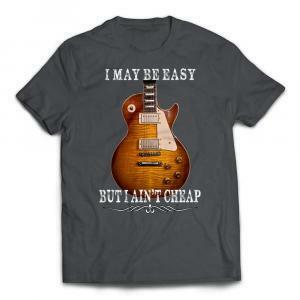 The perfect tribute to one of the greatest blues guitar players to ever grace the planet. Makes an excellent gift for any Stevie Ray Vaughan fan or guitar player! 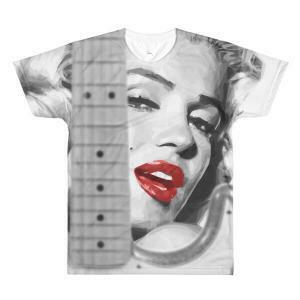 A tribute to the eternal beauty of Marilyn Monroe, forever glorified on this awesome custom designed guitar t-shirt. Marilyn must have loved guitars, and guitar players. Makes a great gift for the musician in your life. Absolutely one of the most influential guitar players to ever wield the instrument. 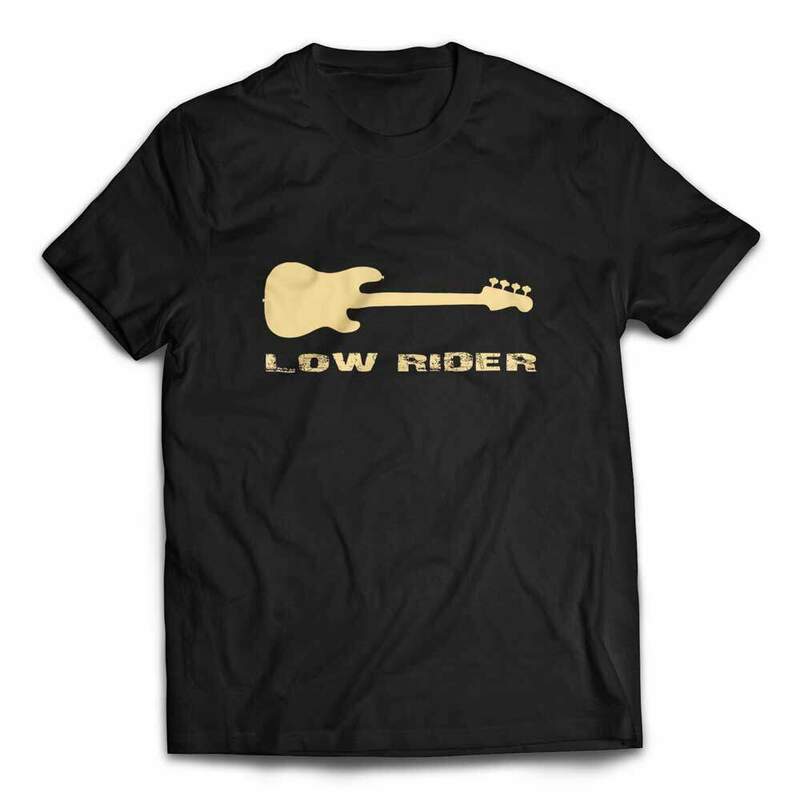 Enjoy this awesome custom designed guitar t-shirt for your very own. You find this amazing tee anywhere else. It’s unique, just like you. 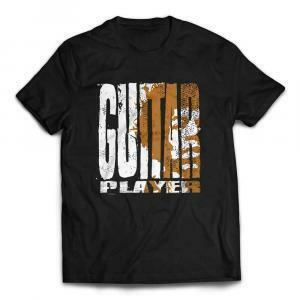 Makes a great gift for all guitar aficionados! Some of the most amazing rock music ever written came out of the imagination of Zoso, otherwise known as Jimmy Page. His incredible 1970 Gibson EDS-1275 Double Neck guitar featured prominently on stage during the heydays of Led Zeppelin. Most notably used in performing Stairway To Heaven to thousands of concert goers. 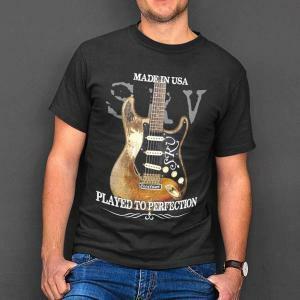 Show your appreciation for awesome guitars and brilliant guitar players with one of the best rock t-shirts available. Are you almost famous? Are you a legend in your own mind? Is your playing slightly remarkable? Do you know more than three chords?? Then without a doubt, you must be the World’s Greatest mediocre Guitar Player. 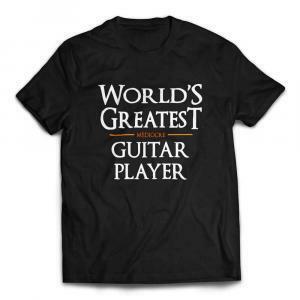 Celebrate your enormous potential for amazing musical improvement with this awesomely ok guitar t-shirt. Are you passionate about guitar? If so, then you know without a doubt, Guitar Is The Sh*t! 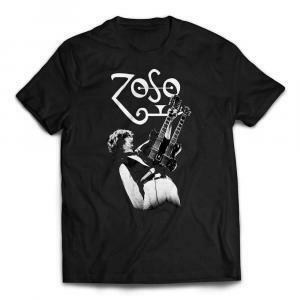 Share your love for the instrument with this custom designed tee not found anywhere else. 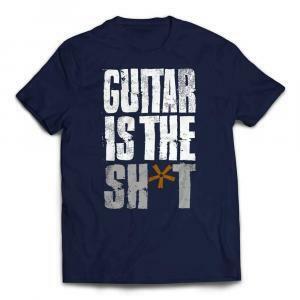 Makes a great gift for anyone who appreciates guitar! I may be easy, but I ain’t cheap. Sometimes, amazing guitars will command equally amazing prices. A vintage Les Paul, and it’s most recent faithful incarnations are no exception. Celebrate the richness of this iconic instrument with your very own inspired guitar tee!